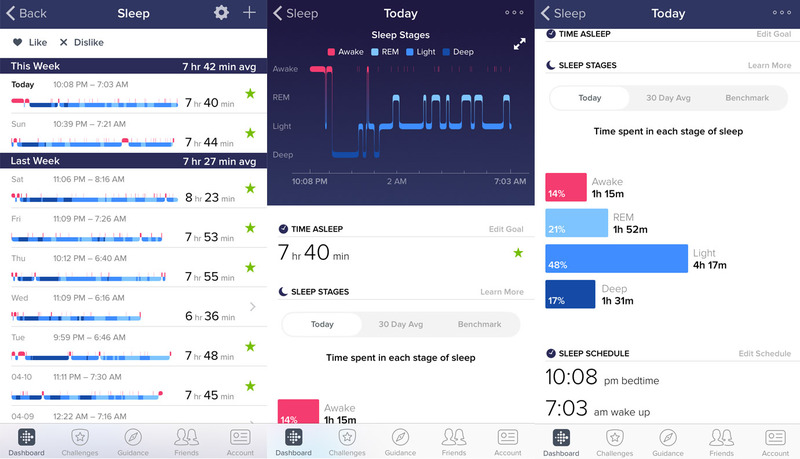 I used to have the Fitbit One and I loved it it was super easy to use and it did have a band for you to track your sleeping but I just found it a pain to have to take the one out of its case to put it in the sleep wrist band every night so I usually never used it to track my sleep. During the summer we went to the drive in and I had my one hooked on my bra like usual and when I got home it was gone. BOO!! I tried finding it but wasn’t able to so I had to get a new one Fitbit was awesome and gave me a discount to replace my One after trying to see if they were able to help me find mine so I decided to take the plunge and get the Fitbit Blaze. I am in love with my Fitbit Blaze! I actually love that it is a full size clock face and not just a bar like the other Fitbits that you can get and it has an actual watch band whereas I have seen the other Fitbit wrist bands have a little toggle thing that you have to push through the band to get on which I feel like I would struggle with. Now that I have it I love that I can track my sleep with my Blaze it automatically knows when I fall asleep by my heart rate and can tell when I'm in the different sleep cycles. The info on these cycles used to be very basic until recently when Fitbit did an awesome update. 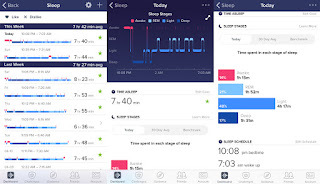 Now you can see more defined sleep cycle it shows you the curves of when you are in a deep sleep and when you are awake and it shows you what percent of each you are in during the night. The Blaze has a feature where it will show you exercises and how to do them. It has a silent alarm to wake you up in the morning with out a loud noise. You can even change the song you are listening to on your blaze. Another feature I like is getting my notifications when ever someone texts me or messages me on my business Facebook page. You can customize this so that you can get notifications from all the available spots or just a couple. So lets say you have 3 email inboxes you could have notifications for 1 inbox or all the inboxes! The main thing the blaze is used for is to count your steps of course. I was worried about the blaze or any wrist warn step counter counting my arm movements as steps. I am very happy that I haven’t found this to be an issue and I find it very accurate. I think it is also fun that you can challenge your friends and family to step competitions. All around I LOVE my Fitbit Blaze and would highly recommend it to anyone looking to purchase a Fitbit.